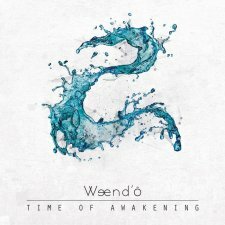 Weend’ô are a band hailing from France, whose music is described as a mix of Pink Floyd‘s ambiance and Tool‘s modern riffing. They are described as « exploring the depths of the human psyche: its qualities and faults, its fears and joy, its relationships… The lyrics are written from real experiences and through melodic progressive rock, the audience is invited to a journey from the inside. » Time Of Awakening is their third release, following their debut album You Need to Know Yourself, and their live acoustic album Fairytalacoustic. Part 2 has a softer, more « light » beginning, with more use of synths and piano to build the scene. A very chilled and relaxed piece, with some lovely keyboard work.